In a thrilling manhunt, a grieving father is tracking any clues, any traces of his kidnapped child while forming an international organization that tracks other missing children. The suspense never ceases as the flesh trade, divorce disputes, and child slavery are all being probed by Sam Baker and his team across the globe. The mystery builds as deep in the Sinai Desert, amongst immortal granite cliffs and The Gulf’s breathtaking shades, there lays Sam’s greatest fears. Hate, corruption, and greed threaten his organization and he turns to a secret outfit for help. Then a horrible scheme to use children to spread terror is revealed and the tracks lead to an inevitably lethal confrontation with a merciless terrorist group. This is a tale of modern terrorism, international intrigue, diplomacy, and sacrifice, all in hopes of finding one small boy. Will Sam find his son? 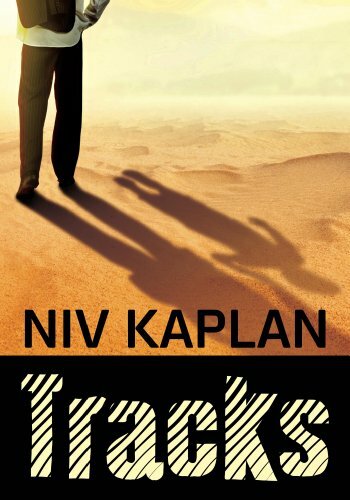 “TRACKS”, Niv Kaplan’s second novel, is a riveting adventure of people who risk everything to track and liberate missing children.